A few months ago I received a phone call from a writer of various pop culture bestsellers. This man is so respected by the publishing industry that a major New York publisher has given him his own imprint. 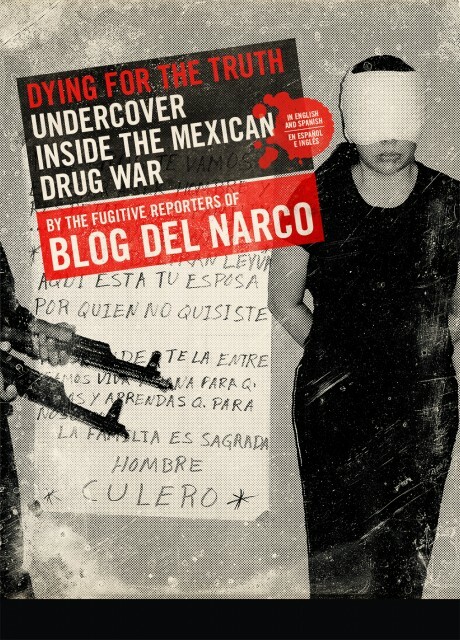 As it happened, this multi-billion dollar publishing company refused to print the famous writer’s new property, at least in the way he wanted it to be published, complete with dozens of gut-churning images of mutilated Mexican citizens, the horrible reality of a book called Dying For The Truth: Undercover Inside the Mexican Drug War by the Fugitive Reporters of Blog del Narco …. So he called a company he thought would not bowdlerize such an important but grotesque book, one that reveals the reality of Narco War horror that continues to be ignored or played down by the Mexican and American media. What we now know (unlike what appears on the Wikipedia page above) is that one woman, a courageous woman known as “Lucy,” runs Blog del Narco, and we were in touch with her though she changed her cell phone number frequently, and never gave us an easy method to speak with her, and in Spanish of course. Dying for the Truth is published by Feral House in both in English and Spanish, includes over 100 images that instantly speak to people of all cultures. This book is horribly, honestly real, and not for children or people who cannot handle this sort of thing.